Happy Thanksgiving weekend, and welcome to SitcomsOnline Digest! With the holiday week, not much has been happening, but we still have a somewhat busy week with news of some old things coming to streaming services, an unofficial cancellation of one of the new fall 2016 series, and more. Let's get going! 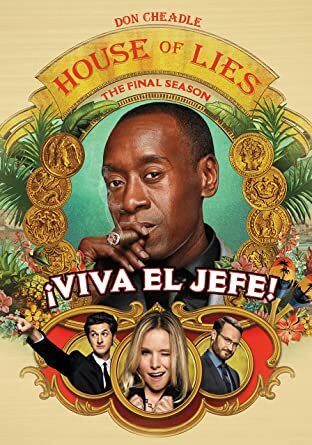 House of Lies - The Final (Fifth) Season (DVD, $39.98): The final season of the Showtime comedy starring Don Cheadle arrives in this release. Who to Follow: Christopher Knight (Twitter), "Television icon Christopher Knight is proud to debut his line of finely crafted, budget friendly furniture for your home or business." Claim to Fame: If you have no clue who Christopher Knight is, it may seem odd that we're featuring a furniture designer as our Follow Me this week, but you probably do know who he is if you follow this blog. Knight, of course, played Peter Brady on The Brady Bunch. He did some acting after that series ended, but in the late 80s, he managed to find employment in the tech industry that actually ended up being even more lucrative for him. While he wasn't quite a Steve Jobs or Bill Gates, he did well enough that he could never be described as a "failed" child star. But he never completely left the entertainment industry either, most notably having his own VH-1 reality show, My Fair Brady, which ran for three seasons. These days, as you can tell from his Twitter feed, he is active in furniture design.